A new gameplay trailer for the newest addition to the Injustice 2 character roster, Enchantress. The trailer gives players their first glimpse at June Moone’s magic-wielding alter-ego Enchantress, in-action as she struggles to contain the mystical powers that have taken hold of her. Enchantress will arrive on 9th Jan for players who have purchased the Injustice 2 Ultimate Edition, Injustice 2 Ultimate Pack or Fighter Pack No3, and will be available as a standalone purchase beginning 16th Jan from the PlayStation Store, Xbox Store, Steam, and Microsoft Store. 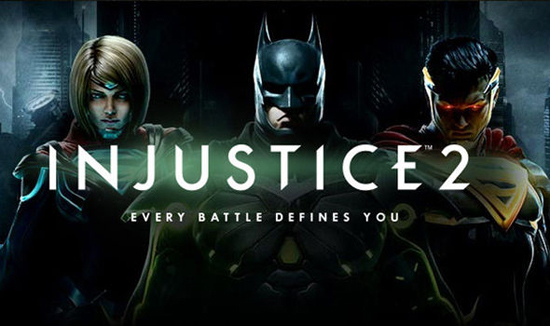 Injustice 2 features a massive roster of DC Super Heroes and Super-Villains and allows players to build and power up the ultimate version of their favourite DC characters. The game is currently available for PlayStation 4, Xbox One, and PC via Steam and the Microsoft Store, with DLC characters Red Hood, Sub-Zero, Starfire, Black Manta, Raiden, Hellboy and The Atom available now on console and PC. Injustice 2 mobile is available now for free on iOS and Android devices.